I am a clinical research fellow and specialty trainee in respiratory medicine undertaking a PhD supported by the Imperial College Clinician- Investigator Scholarship. I am studying the role of epithelial cells and airway macrophages in the development of idiopathic pulmonary fibrosis. I am also interested in the influence of ageing on lung immunity and tissue homeostasis. I collect clinical samples for my research from patients attending the Royal Brompton Hospital. I qualified from Imperial College School of Medicine in 2011. During my medical degree I undertook an intercalated BSc in respiratory science achieving first class honours. This period of research fostered an interest in lung immunology. I completed my foundation and core medical training in North-West London achieving MRCP(UK) in 2014. 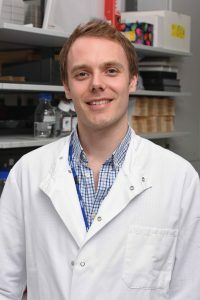 To pursue basic laboratory research alongside my clinical training prior to starting my PhD, I was appointed to a NIHR Academic Clinical Fellowship post in Respiratory Medicine (2015 – 2017).